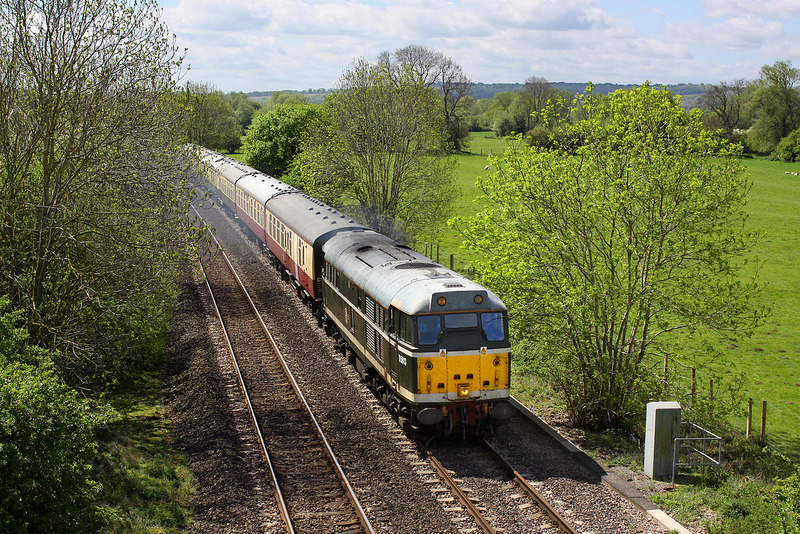 Making a good old fashioned English Electric racket, D5613 (31190) passes Yarnton on 12 May 2015 with the 5Z31 09:23 Eastleigh Works to Crewe Carriage Sidings ECS move. Despite there being nowhere in the Oxford area that wasn't backlit, I wasn't going to miss the opportunity to photograph a green Class 31 with carmine and cream, and chocolate and cream Mk1 coaches, something that it certainly not an everyday sight on the national network, and this isn't even a railtour! For those interested, the coaches are: 35469, 3097, 21272, 1813, 3149 & 1699.